Comparatively increased of production due to reduced batch time. Sturdy design & construction as per cGMP norms. 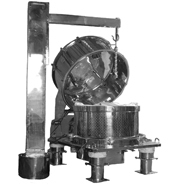 Centrifuge manufactured as per international standards with inertia platform & AntiVibration mounts to ensure smooth operation. 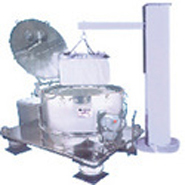 Safety Device such as Zero Speed Lock for the Centrifuge cover. Full validation services available including DQ, IQ/OQ, FAT / SAT protocols. cGMP construction for Pharmaceutical Models.